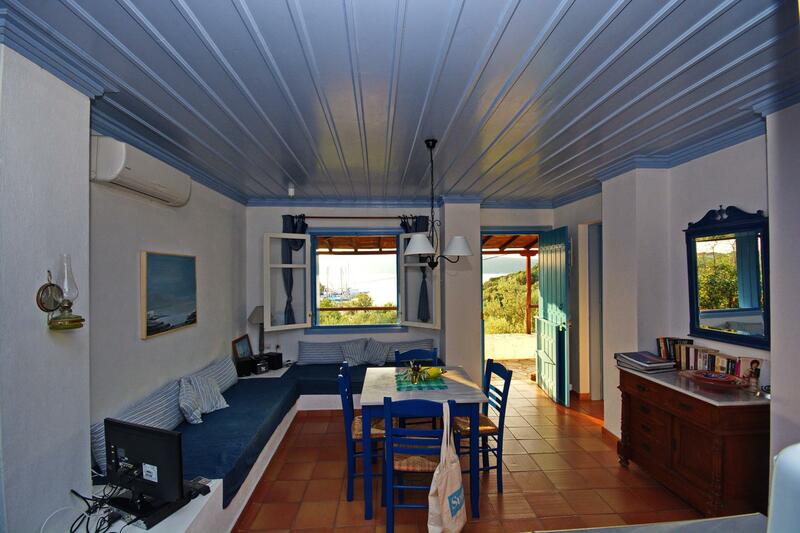 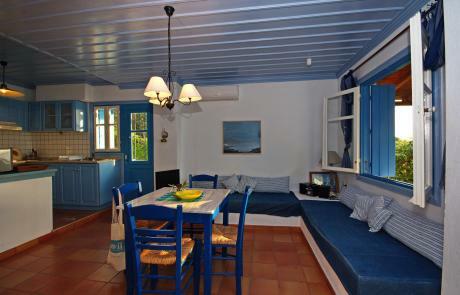 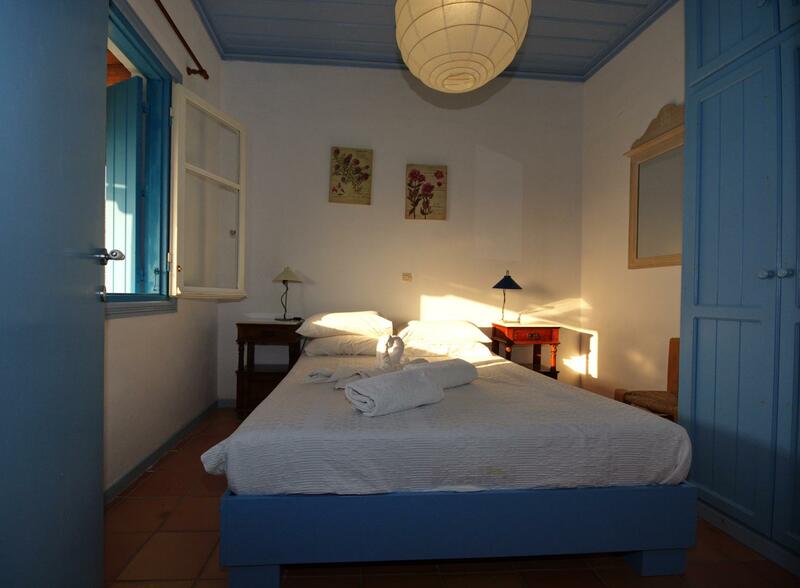 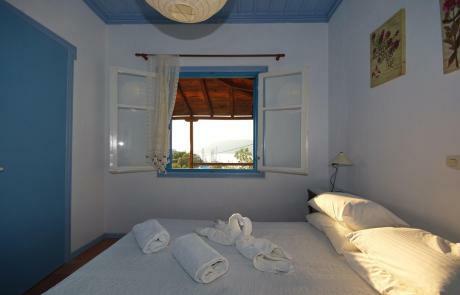 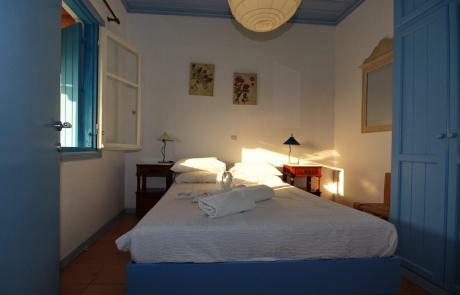 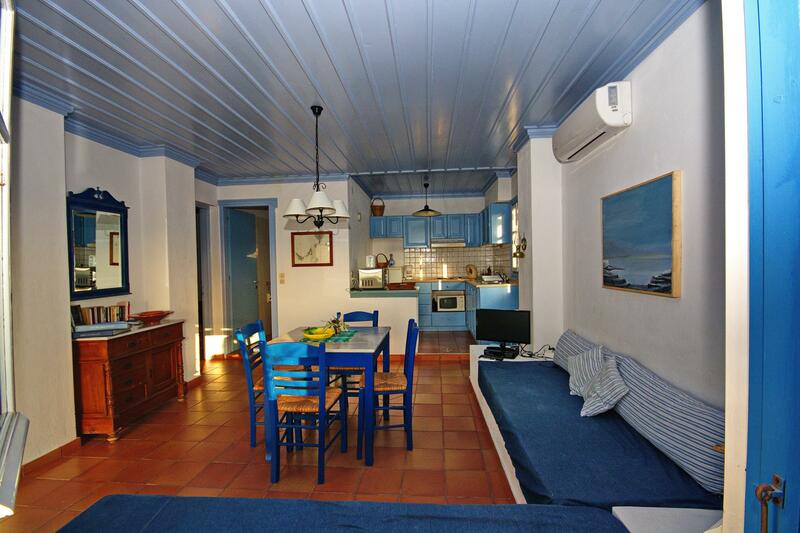 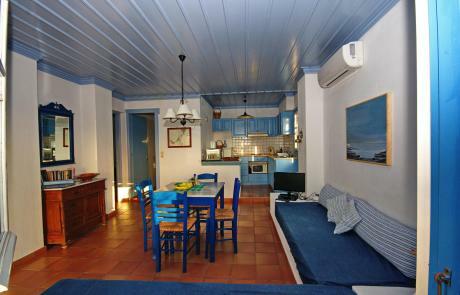 This is the Limani House, a traditional cottage situated in the harbor of Steni Vala privileged to marvelous views. 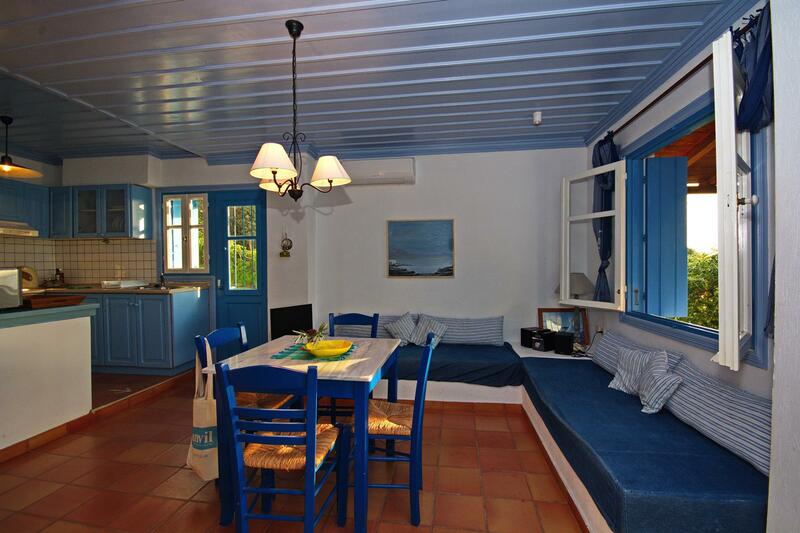 From the terrace, a stable door leads into the air-conditioned lounge furnished traditionally in blue and white coloration and 2 built-in sofas (which could easily sleep a child or two). A small step leads into the fully-equipped kitchen area carrying an electric cooker, fridge/freezer and microwave oven. 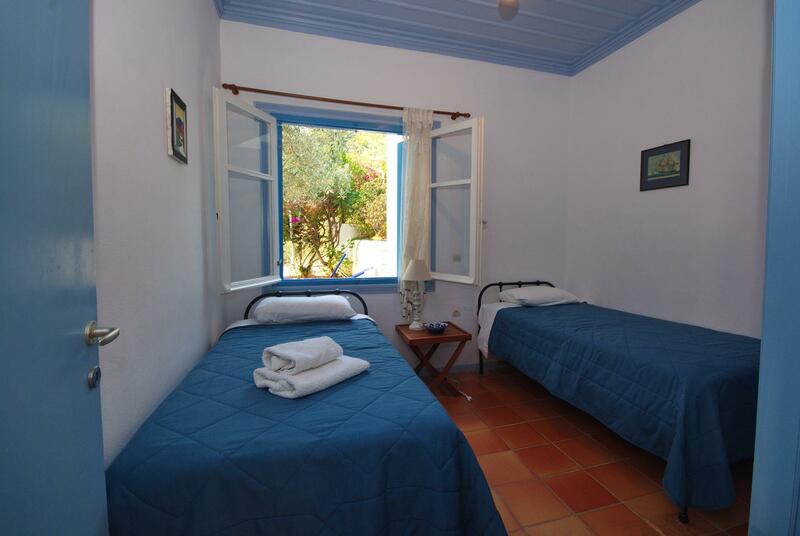 Doors from the lounge lead into a tiled shower bathroom, a double bedroom and a twin-bedded room. The house is surrounded by a beautiful garden full of citrus and olive trees that offer shade and privacy.